Using a free drop shipping company is a possible option for those starting out in the world of online retail, or for those who are looking to cut costs for an existing online business. While a finding a completely free service is much less common those that charge membership or other drop shipping fees, there are some available. Find out what some of these free drop shipping companies offer as you consider your options. SuperGoodDeals.com is a drop shipping company that offers eight different categories of items, including home, baby, jewelry, office, and electronics. They are based in Staten Island, New York and offer a next-day shipping policy. They also offer special promotions at times, such as graduated savings that goes up the more you spend (for example, $15 on orders over $100; $50 off orders over $250). The company has been in business since 2011 and has a B rating with the Better Business Bureau, with a 98 percent positive feedback score from reviewers on eBay. SuperGoodDeals has a simple, two-step program for those interested in getting started with drop shipping. Create a free account to get started. Once a customer places an order, log into your free account and place the order with the customer's shipping address and your name and address in the billing section. After you've placed the order, simply send an email with the subject line "Drop Ship" and state your name and the names of the customers you would like the orders drop shipped to. They provide free shipping throughout the U.S.
Deal Extreme is a China-based e-commerce company that offers drop shipping as well as consumer-direct sales. They have over 300,000 products available in a large variety of categories, ranging from electronics and household goods to beauty products and novelty items. This is a good choice for someone looking to offer a wide range of items, though they could also be a good choice even if you want to specialize in a certain area, like cell phones or toys. The company has a 7.63/10 rating according to Reseller Ratings, with customers commenting on good prices but there are also complaints about service or slow shipping. The company has been in business since 2006. To get started, you just need to sign up for a free Deal Extreme account. Sell items on your online store or eBay store, and when customers purchase products, you just select and submit payment for them at Deal Extreme. Deal Extreme then prepares and ships the products directly to your customers. They offer worldwide shipping at no extra cost. BuyDropShip.com is a Malaysia,Hong Kong and China-based company that offers fee-free drop shipping services. While many of the categories of goods they offer fall into the electronics sector (such as mobile phones, tablets, computer products, and Apple accessories) they also have several other product selections like apparel, sports, and home to choose from. They offer live chat support secure VeriSign processing. There are no minimum order restrictions, and you may qualify for discounts after your initial order. The company does not state how long they have in business and has few reviews; however a variety of products on their website receive four or five star reviews from customers. It's free to join BuyDropShip.com; just sign up for a free account. Sell products on your online store or auction listing, then head over to their website once a customer makes a purchase and place the order using the customer's shipping address. BuyDropShip.com sends the products directly to your customer. They offer free worldwide shipping, so there are no extra shipping fees. Tmart.com is another free drop shipping company that offers a variety of products. You'll find 14 different categories of items to choose from, including electronics, cell phones, toys, sports, home, jewelry, shoes, clothing, and holiday goods. They offer extra savings and coupons when you sign up for their emails, discounts based on your total order amount, secure shopping, and live chat help. Like some other totally free drop shipping companies, Tmart.com gets mixed reviews. Some customers were overall happy with the products and pricing, while others complained or poor products, service or other issues. They get a 6/10 rating at TrustPilot and a 6.45/10 rating at Reseller Ratings. To get started, you just need to sign up for a free account to begin. They have a U.S.-based warehouse, and 90 percent of their products are shipped from there. They offer free worldwide shipping (some exclusions apply) and possible monthly deals. While the above drop shipping companies offer a wide range of product options, there are also some companies that focus on specific types and provide free drop shipping. Pout in Pink sells a large selection of boutique-style girls clothing and accessories, ranging from cute rompers and outerwear to an entire line of unicorn-themed apparel. They also have a selection of women's and boys clothing you can sell. After creating a free account, you'll log in and place your order with your information in the billing section and the customer's information in the shipping section. Pout in Pink's information will not be the packaging, and the customer will only get the invoice from you. To get your Pout in Pink invoice, just log into your account. They have been in business since 2012, have an A+ rating on the BBB, and a 4.6/5 star rating on Facebook. Born Pretty specializes in beauty supplies, makeup, nail care, and nail art products. They have nail stamping, nail glitter, UV gel, nail and beauty tools and even things like temporary tattoos. To use their drop shipping program, you advertise products on your store or auction site, then order them from Born Pretty and have them shipped to your customer. Like Pout in Pink, their information does not appear on the packaging. There are no drop shipping fees and products are shipped worldwide for free. Sitejabber reviewers comment on the quality and range of products, and they have a 4.4/5 star rating. They have been in business since 2011. Fast Furnishings offers a large selection of furniture for bedrooms, living rooms, dining rooms, and outdoor areas as well as lighting and accents. They offer three levels of drop shipping programs, and the Entrepreneur level is completely free to use. You'll need to fill out an application, which includes information such as your selling platform, contact information, and online store url or sites you sell on. You'll be able to begin placing orders within 24 hours of having your application approved. Approval includes access to wholesale pricing and includes free shipping throughout the U.S. They have an A+ BBB rating and have been in business since 2003. If you're in the market for selling a small selection of electronics, TOMO might be your drop shipping source. They specialize in products such as power banks, wi-fi outlets, and intelligent chargers. At the base level of their drop shipping program, which requires no minimum total monthly order amount, there are no fees and free shipping is included. In order to have access to the discounted wholesale prices, however, you'll have to order $200 or more in merchandise per month (discounts increase the more you spend). Contact them directly to get started with the drop shipping program and expect a response within 24 hours. While there is little in the way of reviews for their drop shipping, some of their products get very positive reviews, such as the five stars on this TOMO M4 power bank. Kinkoo products include smartphones, devices, tablets, and accessories. They offer 15 to 20 percent off regular prices for drop shippers. You'll need to register for a free account and then email their sales department with your account ID to apply for drop shipping. Once approved, you can begin placing orders with no fees or minimum order requirements. Free worldwide shipping is also included as well as the option for blind shipping to your customers without any watermarks or logos. Like TOMO, Kinkoo has little in the way of drop shipper reviews, but their products tend to get top marks from online tech gurus at website like Digital Journal. Sewing Tink sells handmade baby products like swaddling blankets, hooded towels, diaper clutches, blankets, and more. You'll need to fill out their application to apply and include your federal tax ID number. 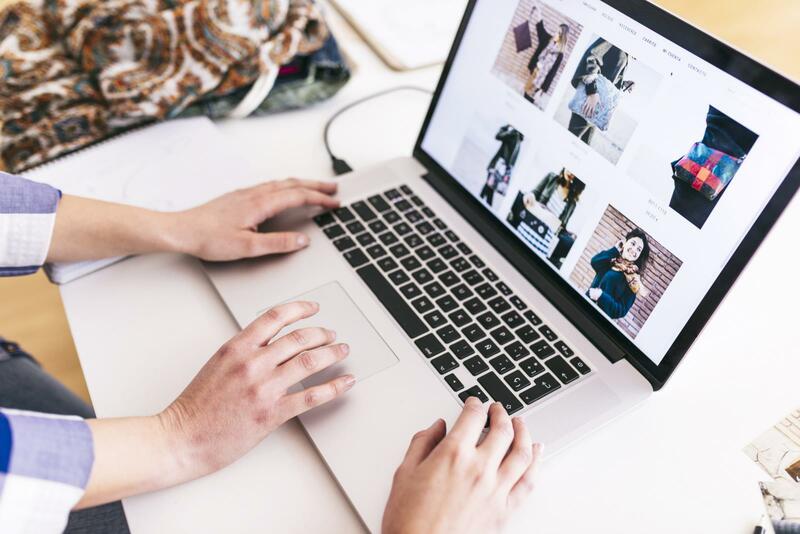 The company does not charge fees to use its drop shipping program and does offer wholesale pricing, however, you'll need to adhere to their Minimum Advertised Pricing agreement in order to use them. They also offer free shipping within the U.S. The company started in 2009 and they have positive reviews according to Etsy shoppers. If you're just getting started in in need of a boost for your online store or auction business, using a free drop shipping company that doesn't require hefty membership costs or shipping fees can help you save money. Review your options carefully, however, and proceed only once you're comfortable doing business with a specific company.